We are excited to announce that Kristi will be returning as our Challenger Camp Technical Director!! We will be contacting coaches on Kristi's schedule, and strongly urge you to utilize her!! She is able to help with practises, hold clinics, help with session plans. Welcome Back Kristi! 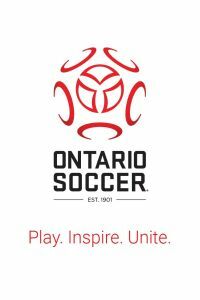 Taking this program to coach a Haldimand Youth Soccer Club team will require a credit card with a cost of $33.90. Once complete, please submit your receipt to one of your town representatives for reimbursement. Submit your favorite coaching site. info@HaldimandSoccer.com to submit it. We will review the site for content and, if all is well, it will be posted here for everyone to see!!! All sessions are in the cafeteria at MPSS in Caledonia. * Thank you to those that have attended past seasons! Once again, it is imperative that at least one coach per team attend a session in the division that you are coaching. These sessions are not only for us to offer you support, but give you the opportunity to clarify and share scenarios and opinions and suggestions to us. You can contact Sheri Phibbs to sign up for a session. Your team binder and other information will be given at these sessions. Thanks! FREE! On field DPS SESSIONS WILL ALSO BE AVAILABLE FOR THE WEEK OF MAY 15-17 at Caledonia Soccer Complex, beginning at 6:00pm. Please be prepared for weather conditions as these sessions are outside. Paul will be initializing drills and skills for you to do. It's a great opportunity - hope to see you there!! Thousands of drills categorized. Drills for all ages. Links to many more soccer sites. This site is about the most interesting site that I have come accross. It has a question and answer section of real submissions to qualified referees. It's worth checking out - you will learn a thing or two. Haldimand Youth Soccer is primarily a Monday to Thursday league. Practices on Friday and Saturday are discouraged. Permission to practice or re-schedule games on Sundays must receive must be obtained from the Haldimand Youth Soccer Executive. Contact your town rep for more information.